Prophetess/Pastor/Minister/Author/Speaker/Radio Host/Business Owner . Shareta Berry has been called into the Five Fold Ministry. Min. Shareta Berry has a right know word that will forever change your life. She is a testimonial as to the things that God can bring you out of. She is a overcome from sexual abuse, Mental abuse, Physical abuse, abusive relationship. She has overcome the odds of Homelessness, Min. Shareta Berry is a living vassal and a welling vassal She states that We are all overcome by the word of God, And she knows that if God can bring her and her children out of the land of the dead he can do the same for you. She has served as Asst Pastor, has traveled much and ministered at many, many conferences and revivals. 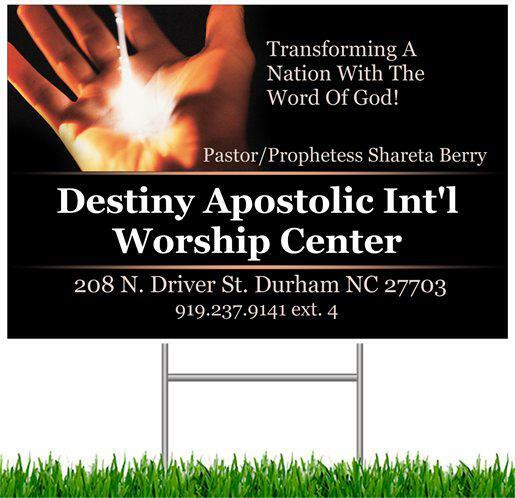 Pastor Shareta Berry is all about getting the word of deliverance/ and breakthrough and healing to women worldwide And not just to women but to anyone that seeks it from the Lord. She has a vision for women to be set free from all hurt, past pain and other issues that so many face today. She has formed varies out reach ministries that are in the making with the help of the lord. To name a few. " Road 2 Recovery which is a an outreach ministry for women of Domestic Violence, another is "Young Ladies With Vision Transition To Change which is a transitional Housing program for women and Children that she is believing in God to bless her with her first home or building to house women. This transition Shelter will be for women and children that are homeless due to no fault of there own or other hardship issues. And many more visions that God has given her. Pastor Shareta Berry motto is " Let No One Tell You What You Can Not Do, Because With God It is Possible"
Pastor Shareta Berry is the Author of several Books, which can be found on this website. "" A Release From Within", Transitions, The Women Within Devotions The Women Within Prayer Book, And also two Journals for women to write there Visions and Dreams in " Dream Journal and My Personal Journal. And she is working on book number 5 entitled "The Women Within"
Pastor Berry is also a playwright as she has written many short plays. One of her latest plays " God I want Out" can be heard on the Road 2 Recovery link within this site. You can go to that link and listen to this short awesome play that will bless you.Her vision is to write a full production and feature it within the states or in a city near you. Along with that she is also a psalmist and a lyricist. and a poet. Minister Shareta Berry is also the Editor In Chief of an online Magazine entitled "ZION PRESS. Which there is a link on the web page to view the many magazines that she has done over the months. When ministry is not calling to her demands she has six children that also call unto her. Minister Shareta Berry is a single Mother of 3 boys Derrick 22, Tyrone 19, Barry 18 and 3 Girls Rashida 15, Charise 14, and Zion 11. She calls them her six blessings from the Lord. She is a woman of Faith. A woman of Boldness. She is that Proverbs 31 Woman that God speaks of.